Fifty Shades Film: Fifty Shades Of Grey Has A Producer! Fifty Shades Of Grey Has A Producer! 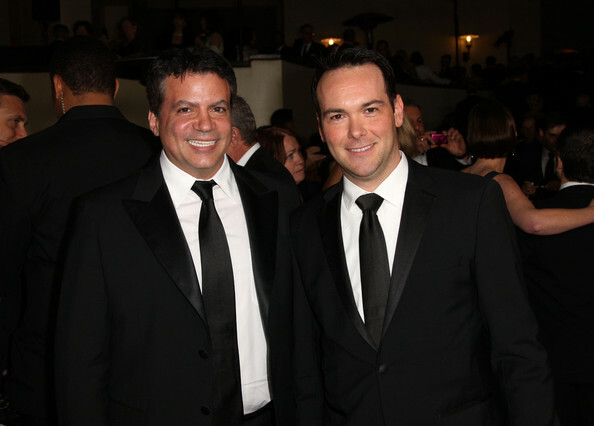 BREAKING NEWS: Mike DeLuca and Dana Brunetti have been tapped to produce Fifty Shades Of Grey, the Universal Pictures/Focus Features movie adaptation of the bestselling steamy trilogy. De Luca and Brunetti teamed on The Social Network and Captain Phillips, the Paul Greengrass-directed film that stars Tom Hanks. The studio has just confirmed the hire, which came after a round of meetings with author E.L. James and her British agent Valerie Hoskins that involved a number of high level producers. Led by co-chairman Donna Langley, Universal won a heated bidding battle for screen rights to the trilogy, which sold in a multimillion dollar deal. Langley and De Luca go back a long way, to when Langley was a production executive at New Line and De Luca was president of production. De Luca most recently was a producer of Moneyball. They will now figure out who’ll write and direct the film, and star in what will be an R-rated adult-themed film.